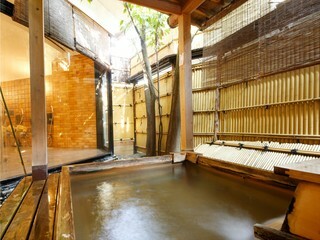 Plan with one night lodging and two meals included. 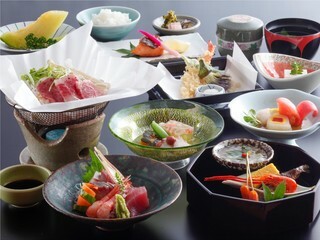 * Dinner: Traditional Japanese banquet style dinner with seasonal Japanese dishes. 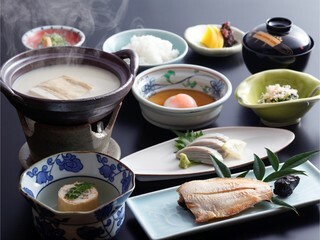 * Breakfast: Traditional Japanese breakfast. * All meals will be served in your room. * For groups of 5 or more people, dinner is served in our dining hall. 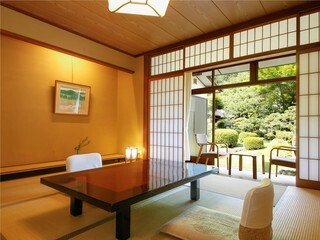 Check in: 15:00~18:00. Dinner time:18:00~19:00 (Dinner is stopped serving at 21:00). Breakfast time: 7:30~8:30.